Massachusetts Bans Foreclosure Evictions of Tenants – Why Can’t California? 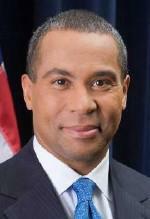 Earlier this month, Massachusetts Governor Deval Patrick signed legislation barring arbitrary evictions of tenants after foreclosure. This commonsense legislation requires a foreclosing entity to have "just cause" in order to evict a renter after foreclosure. The law also provides tenants the right to sue and collect a minimum $5,000 penalty against banks that evict in violation of the law. Will California pass similar legislation? The answer should be yes. Evictions after foreclosure are ruining lives and destroying communities across the state. A statewide post-foreclosure "just cause for eviction" law, as was adopted in Massachusetts, would cost the state nothing - and would go a long way toward preventing displacement and neighborhood blight. Tenants are innocent and hidden victims of a foreclosure crisis they did nothing to create. The scope of the problem is staggering. Tenants Together estimates that at least 37 percent of residential units in foreclosure in California are rentals. Last year, over 200,000 California tenants were directly affected by home foreclosures. Despite their willingness to continue to pay rent, most tenants in foreclosure situations are being driven from their homes by banks acquiring rental properties. Banks implement 'eviction first' practices after acquiring property. Once the tenants are evicted, many of these properties end up sitting vacant for months or years. A recent report from Foreclosure Radar, a foreclosure data service, indicates that the average foreclosed property is on the market for about six months in California. Vacant properties fall into disrepair and become prime targets for vandalism, turning formerly tenant-occupied properties into blighted vacant homes. Although the federal Protecting Tenants at Foreclosure Act provides some temporary relief for tenants, further eviction limitations at the state and local level are necessary to provide long-term stabilization after foreclosure. It is not surprising that banks do not care about the devastation they are causing tenants and their communities. It is surprising that banks remain unwilling to do what is in their own financial interest. In addition to the devastating human costs, banks' practices of evicting tenants from foreclosed properties make no financial sense. Over the last two years, banks have lost nearly $2 billion in rental income in California alone by displacing rather than renting to tenants after foreclosure. Additionally, as part of a misguided effort to kick tenants out of their homes, banks are incurring costs for lawyers to litigate eviction cases and for real estate agents to displace tenants through "cash for keys" deals. Tenants Together distributed a proposal to all of the major banks, urging them to rent to tenants after foreclosure. Not one has committed to do so. Equally troubling, none can even explain their refusal to rent to tenants after foreclosure. Evicting is just what they have always done, so they continue the practice. Fannie Mae and Freddie Mac, the government backed mortgage giants, stand alone in offering tenants the right to remain in their homes after foreclosure, although there are implementation problems in their properties. Recently, Attorney General Jerry Brown announced a formal investigation of bank treatment of tenants living in foreclosed properties. Launching this investigation was not only the right thing to do, but it was also a smart political move. The announcement of this investigation in the midst of an electoral campaign will no doubt win him tenant votes. San Francisco Mayor Gavin Newsom - generally an ally of landlords and opponent of efforts to strengthen tenant rights - recently signed local legislation to expand eviction protections for tenants in foreclosed properties. The fact that Mayor Newsom would sign such legislation, particularly while running for statewide office, shows that the usual battle lines do not necessarily apply when the issue is tenants' rights after foreclosure. Indeed, any politician should welcome this opportunity to represent the interests of millions of California renters and their entire communities against a handful of national banks that are indifferent to the suffering they are causing. Politically, it should be a no-brainer. Politicians at the local level have already caught on. City councils in Ridgecrest and Richmond have sided with their residents and passed just cause for eviction laws protecting tenants in foreclosed properties. These local elected officials understand that their city's residents - the voters - are unified in their desire to stop the unfair evictions occurring every day at the hands of big out-of-town banks. Yet the rest of California tenants who live in cities that do not have these local laws remain subject to displacement because of the irrational eviction policies of national banks. Unlike many other problems, this one has a solution that would cost the state nothing: follow Massachusetts' lead and adopt a just cause for eviction law that protects tenants after foreclosure. Dean Preston is the Executive Director of Tenants Together, California's statewide organization for renters' rights. For more information about Tenants Together, visit www.TenantsTogether.org.